In this in-depth study, you'll learn the many ways angels help you inherit salvation (Heb. 1:14). Heavenly Helpers The Word of God is filled with many promises for Christians to appropriate. One of the ways believers receive what God has promised them is through the ministry of angels. As you speak the Word, angels go forth to bring it to pass. 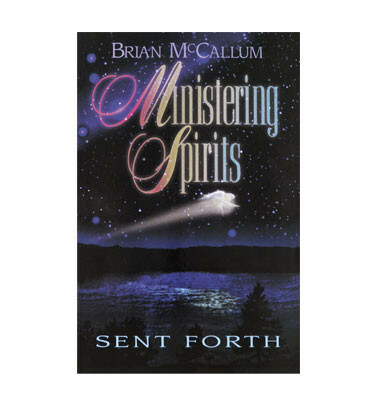 In Ministering Spirits Sent Forth, Brian McCallum presents an in-depth study of angels and the many ways they help you. He explains what causes angels to work on your behalf and what keeps them from moving. You'll learn how to recognize an angel from God versus an "angel of light," and how angels protect you from harm, as well as execute God's judgment on the earth. God never intended for you to struggle while on this earth. In addition to His Word and the blood of Jesus, you've been given angels to help you in all your ways.